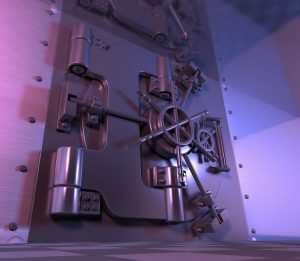 The best asset protection strategies today comes from using multi-entity asset protection structures. One of the best asset protection examples is that of this multi-entity structure. That is, is using an offshore limited liability company (LLC) in combination with an offshore trust. The trust owns the LLC in its entirety. You can then transfer you assets to the LLC. Under the law in the Cook Islands, Nevis, and Belize, the settlor of the trust may also act as the manager of the LLC. This allows the settlor to control the day-to-day operations of the limited liability company. It also allows them to control the assets. During times of legal duress, the trustee can step in to control the LLC. This legally separates the ownership of the assets from the settlor. As a result, it effectively protects the assets from creditors. In the Cook Islands, Nevis, and Belize, trustees are also prohibited from transferring funds to the settlor of a trust when they are under legal duress. However, they may pay bills on behalf of the settlor. They may also make transfers of assets to trusted friends or relatives of the settlor. In this way, it keeps creditors away from the assets while the settlor can use them to his or her benefit. 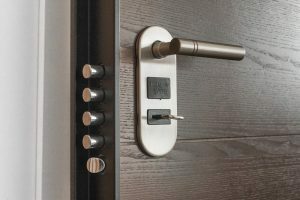 Financial privacy is a key component of asset protection. Creditors cannot attack assets that they do not know exist. The Cook Islands, Nevis, and Belize all have favorable laws regarding financial privacy. These jurisdictions do not require the public registration of the name of the settlor. The name of the trust, the name of the trustees, and the date of the trust deed are the only public registration requirements. Additionally, limited liability company owners in these jurisdictions are not required to be listed online in a public register. Information regarding a limited liability company is kept by the company itself. The company name, resident agent’s name and address are the only details are made available to the public. These jurisdictions also grant the ability to appoint nominee account holders. There is no requirement for a limited liability company to make information about its founder or shareholders public. Foreign judgments cannot be upheld against assets protected by an asset protection structure in the Cook Islands, Nevis, or Belize. 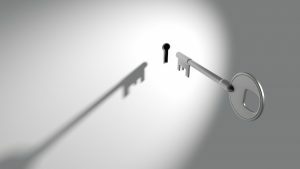 Removing ownership of personal assets from the settlor and transferring them to the LLC, which is held in the trust, helps to maintain privacy. This is because both the trust and the limited liability company do not require the registration of the settlor or founder. The combination of these two legal vehicles provides additional protection for financial privacy. Fraudulent transfer claims are the kryptonite to many asset protection strategies. Fraudulent transfer occurs when assets are transferred with the expressed intent of delaying or defrauding creditors. In the Cook Islands, Belize, and Nevis, a successful claim of fraudulent transfer is the only way a creditor can gain access to assets. It is important to note that these jurisdictions do not recognize foreign judgments. As a result, a creditor would have to travel to these jurisdictions in order to have their case heard. This can be so expensive and time-consuming that most creditors choose not to pursue claims in these jurisdictions. If they do make claims, the burden is on the creditors. The burden of proof for fraudulent transfer in the Cook Islands, Nevis, and Belize is beyond a reasonable doubt. The creditor is required to prove that making the transfer made the settlor insolvent. They must also prove that the intent in making the transfer was to evade the creditors. Favor lies firmly in the hands of the settlor of trusts in the Cook Islands, Nevis, and Belize. This is supported by the short statute of limitations in the jurisdictions. These jurisdictions give creditors only one year to two years to bring action against the settlor after the supposedly fraudulent transfer occurred. After the statute of limitations has run out on the fraudulent transfer claim, the assets in question are virtually untouchable by the creditor. This combination of factors provides a huge deterrent for creditors. Even if the lawsuit is brought to the Cook Islands within this time, there are tremendous barriers protecting the assets. We started establishing offshore trusts in 1995. None of our clients that we have helped place money in a Cook Islands offshore trust have lost this money in a judgment. Asset protection strategies were not designed to help billionaires escape from paying taxes. They were designed to help honest, hard-working professionals from losing everything they have worked so hard to earn. The unfortunate truth is that there are many unscrupulous people in the world who use lawsuits as a means of getting rich quickly. The asset protection structures available in the Cook Islands, Nevis, and Belize are 100% legal vehicles. They can be used to help wealthy individuals and their families protect their assets from these types of lawsuits. The strong legal advantages in the Cook Islands, Nevis, and Belize make them the premiere offshore destinations for asset protection. It is during times of legal duress that a person may need access to their assets the most. The structures described above in the Cook Islands, Nevis, and Belize can help. Using an offshore limited liability company in combination with an offshore trust can maintain access to assets while protecting them from creditors. The provisions of Cook Islands, Nevis, and Belize trusts allow for the trustee to pay bills for the settlor. The trustee can also pass funds to trusted family members or friends. These intermediaries may then pass the funds to the settlor. Trustees in these jurisdictions are prohibited from recognizing the judgments of a foreign jurisdiction. Additionally, they are prohibited from making distributions to the settlor of a trust, that a creditor could seize, when the settlor is under legal duress. This is the case provided that it was stipulated in the trust deed. This situation is known as “Impossibility to Act”. “Impossibility to Act” is a legal situation where the settlor is under pressure from a judgment. We place a duress clause in the trusts. So, in this situation, the trustee will refuse to release the assets on the grounds that the settlor is under legal duress. At this point, the settlor has fulfilled their obligation in their home jurisdiction because they tried to get the assets. However, the creditor will be unable to obtain the assets because the trustee will refuse to release them. Once the creditor drops the claim and the settlor is no longer under legal duress, they may access the assets once again. This is a perfectly legal means for the settlor of an offshore trust to protect their assets. The situation described above eliminates the risk of being found liable for fraudulent transfer, also known as fraudulent conveyance. This is because it is the managerial role which is transferred from the settlor of the trust to the trustee. There were no transfers of assets while the creditor was making their claim. Laws in the Cook Islands, Nevis, and Belize also lend themselves well to estate planning. This is because these jurisdictions allow for the provision of dynasty trusts. Dynasty trusts are trusts which exist in perpetuity. These types of trusts can be very beneficial for estate planning because they allow the settlor to plan how their assets will be allocated across several generations. Trusts in the Cook Islands, Nevis, and Belize are not subject to foreign judgments. As a result, they are also not subject to foreign inheritance law. This can be very beneficial if a foreign jurisdiction’s inheritance law contradicts the interests of the settlor of the trust. These jurisdictions provide settlors with a tremendous amount of freedom to structure the inheritance of their assets for generations to come. 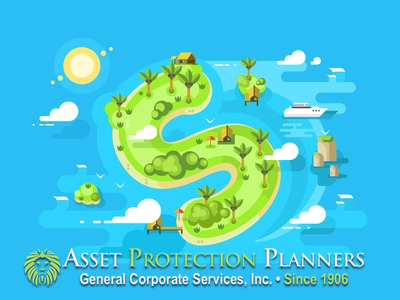 Asset protection solutions based in the Cook Islands, Nevis, and Belize are most effective at protecting liquid assets. This is particularly true for US Citizens. 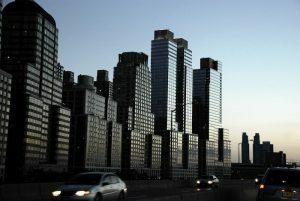 The US government has jurisdiction over US bank accounts and real estate. It is possible to hold US real estate in a Cook Islands, Belize, or Nevis LLC or trust. However, in certain circumstances, it may be more beneficial to hold liquid assets offshore within these structures. Domestic real estate may be subject to certain domestic claims. Whereas, liquid assets held offshore in the proper trust would not be. In situations of legal duress, it is preferable to sell the real estate. Alternatively, record a lien against it which is payable to the LLC inside the trust. Then, if needed, we have a third-party purchase the mortgage and place the proceeds in an inaccessible account in your offshore trust. Bank accounts the LLC or trust use do not have to be located in the Cook Islands, Nevis, or Belize. The accounts may be held in any financial institution in the world that refuses to recognize foreign court orders. It can be very beneficial to use asset protections structures in multiple favorable jurisdictions. The more places that a creditor would have to travel to pursue their claim, the less likely they are to do so.